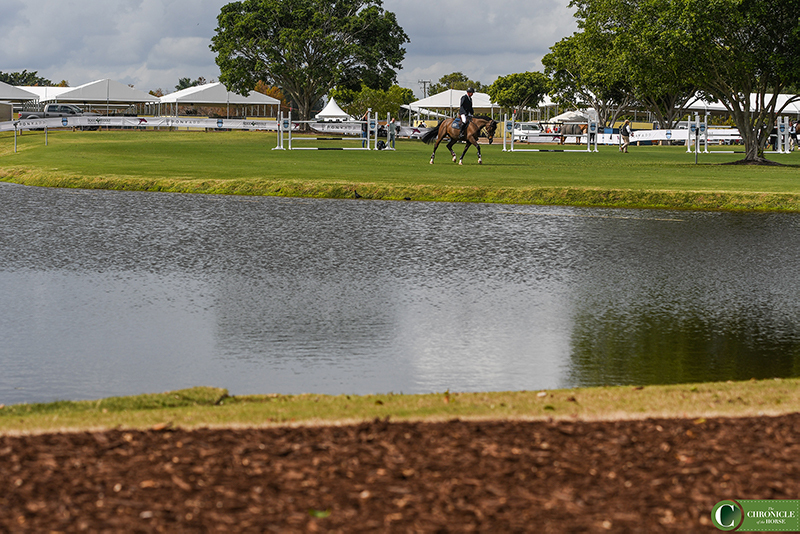 Horses passed one of the gorgeous lakes on the farm on the way to the ring from stabling. 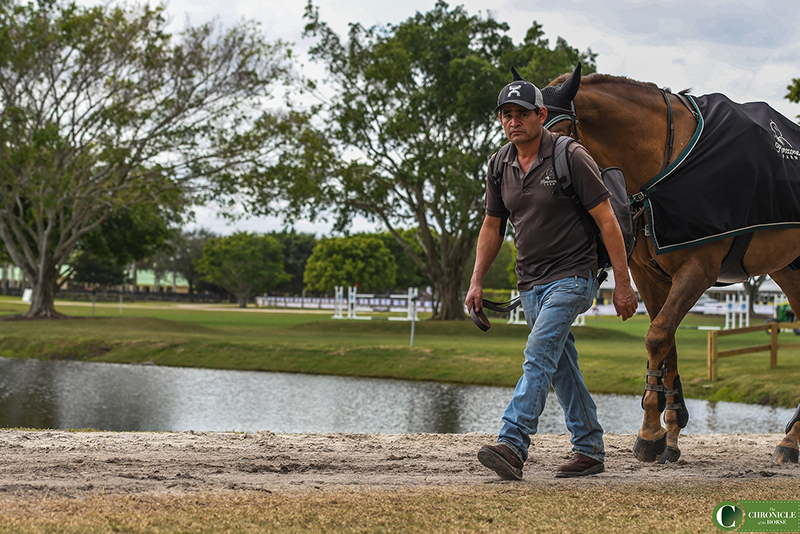 Switzerland’s Martin Fuchs (left) and Great Britain’s Ben Maher warmed up near FEI stabling before the $35,700 CP Welcome Stake. 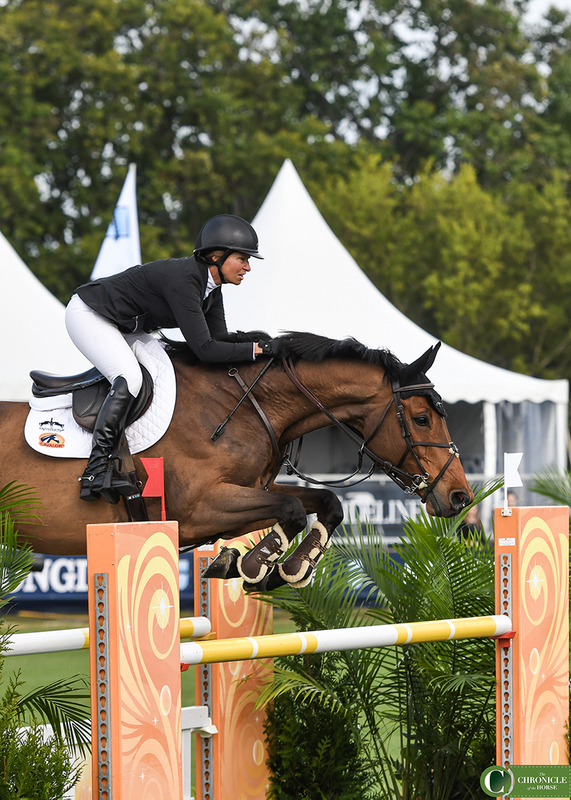 HH Azur made her return to FEI competition for the first time since tearing a muscle during the Rolex Grand Prix at CHIO Aachen (Germany). 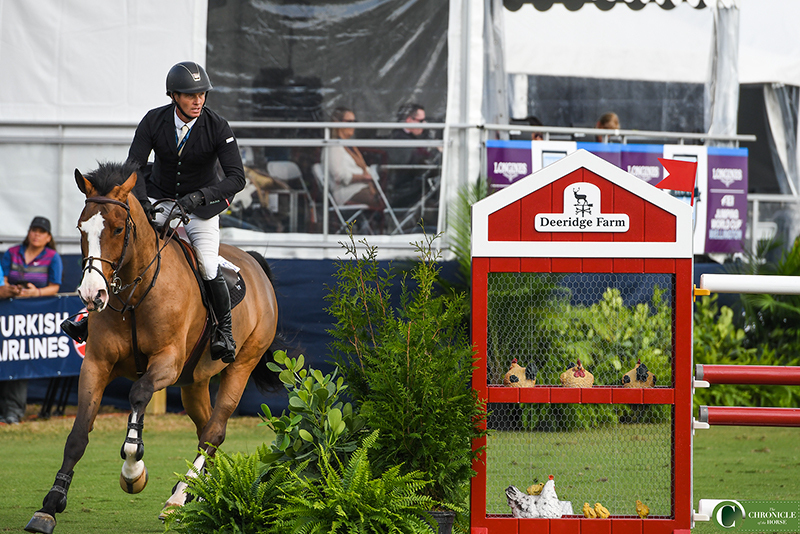 Peter Jordan rode the 11-year-old Igor Van De Grauwe Berg past a chicken coop-designed vertical on course. 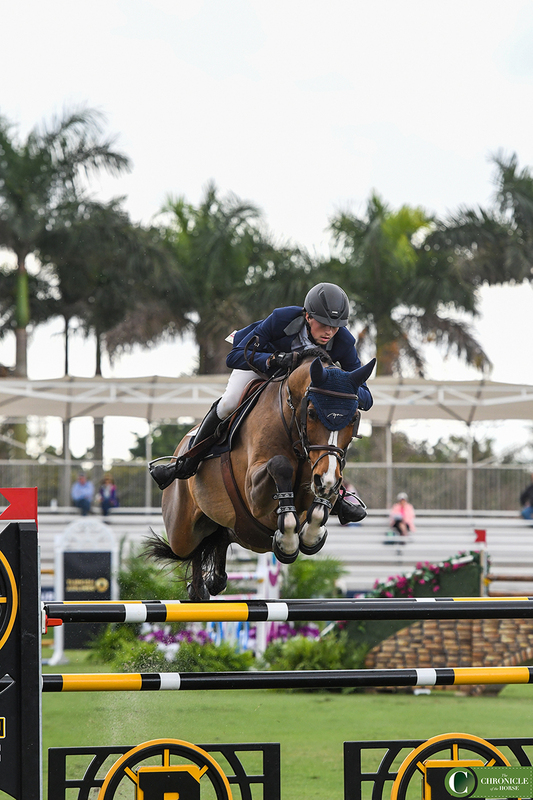 Israel’s Danielle Goldstein and Lizziemary cleared the first fence in the CP Welcome Stake. 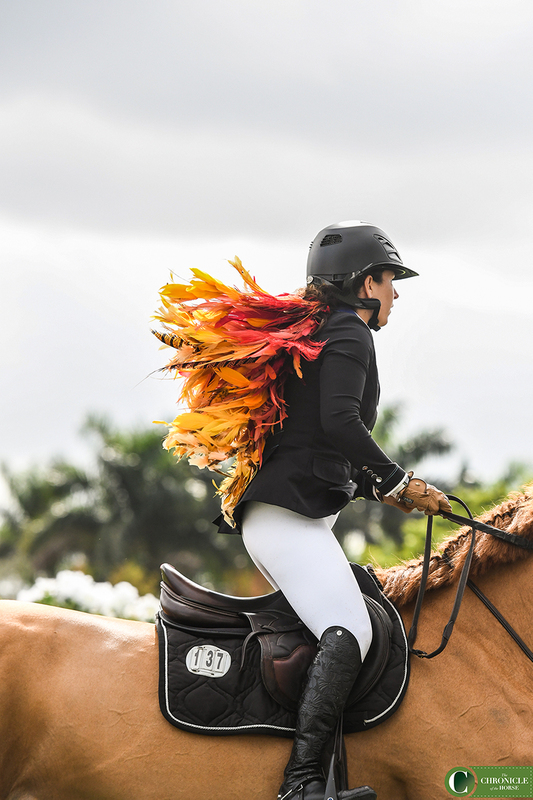 Feathers were flying during the Welcome Stake, as Danielle Goldstein steered Lizziemary on course. 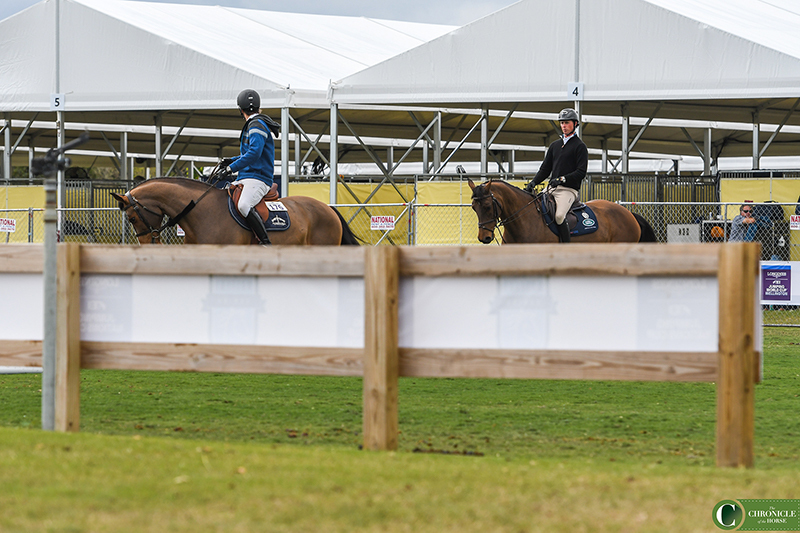 Views of the warm-up area from the grand prix ring. 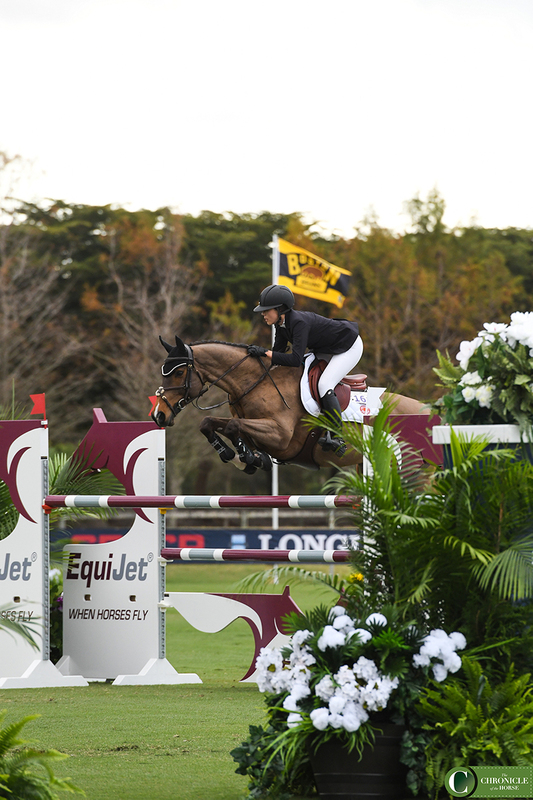 Japan’s Karen Polle and With Wings. 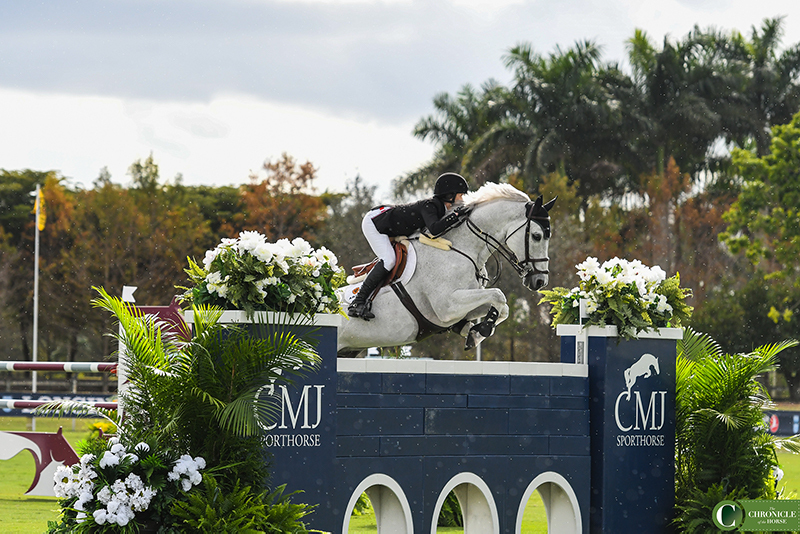 Alison Robitaille and Ace jumped the CMJ Sporthorse-sponsored wall, but not without some raindrops. 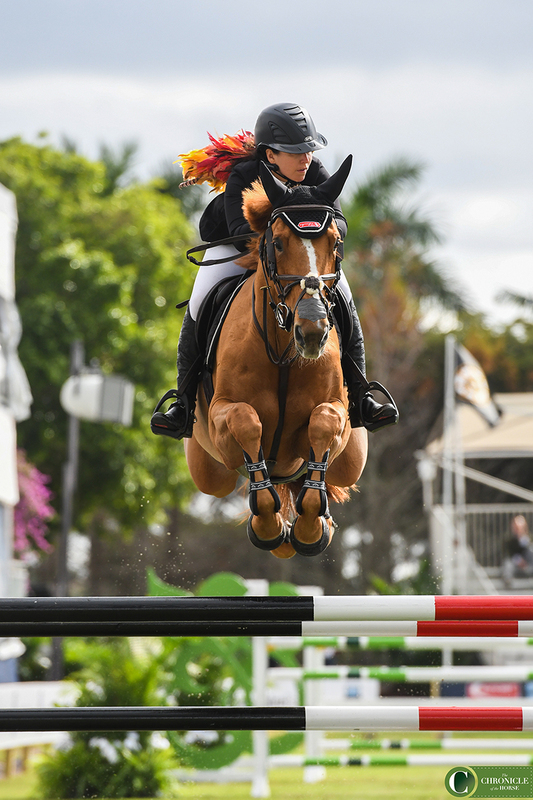 Beezie Madden flying Coach over an oxer on course. 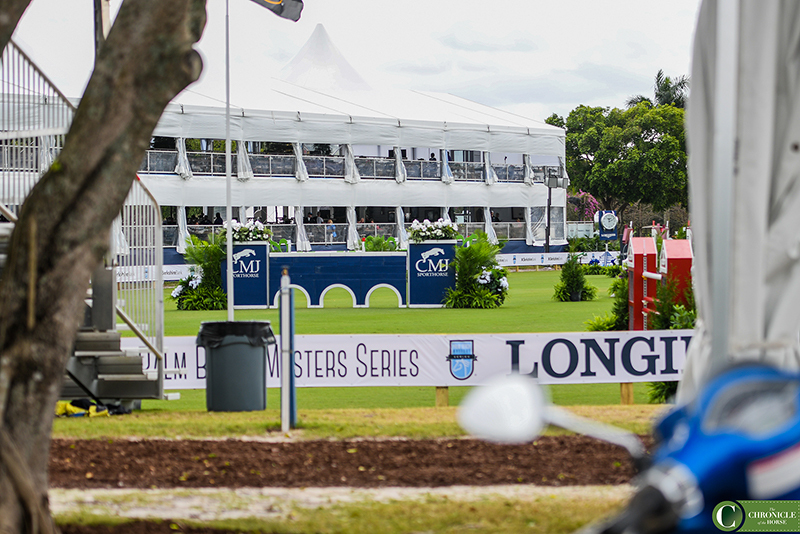 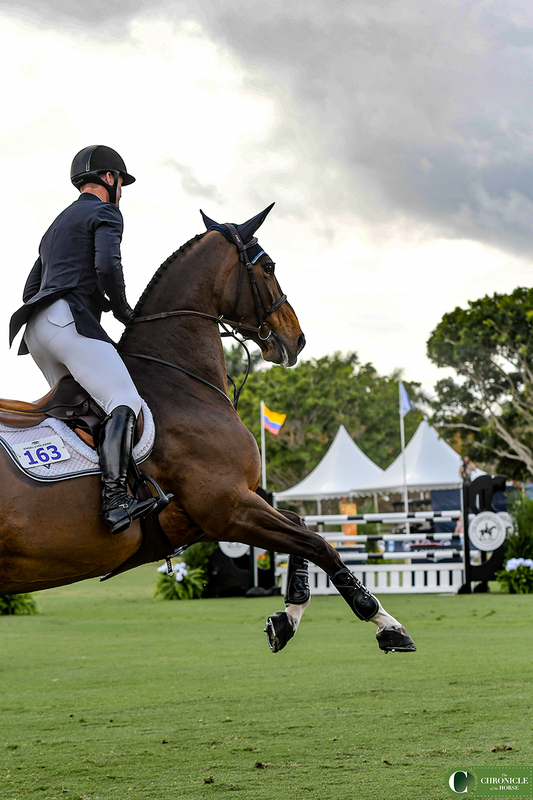 In his first Palm Beach Masters appearance, Switzerland’s Martin Fuchs laid down the law to win the CP Welcome Stake aboard Cristo.